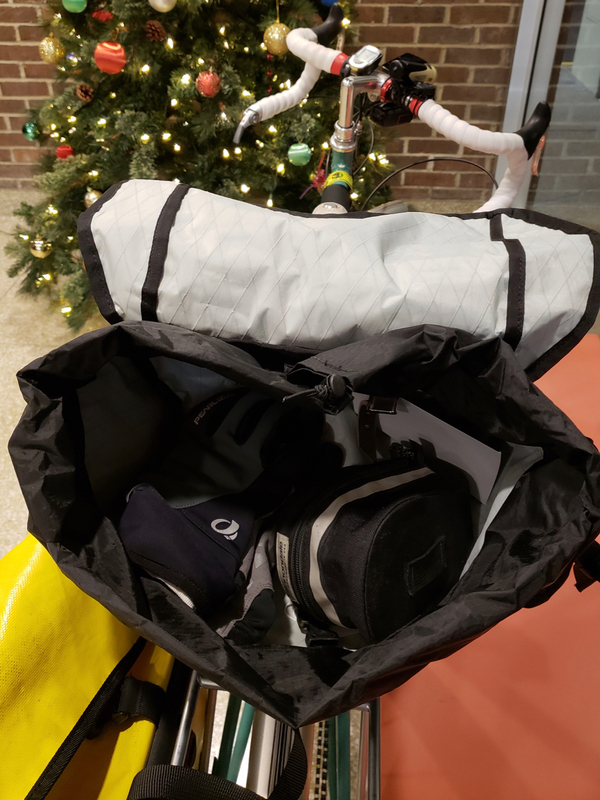 Today’s gift suggestion for the 12 Days of Randonneurmas is one that will appeal to the randonneur, bikepacker and tourer. Mary and I have used Carradice saddle bags for years, and they offer consistent quality and immense durability. Waxed cotton duck is wonderful stuff, but it doesn’t make a lightweight bag. Enter Swift Industries. 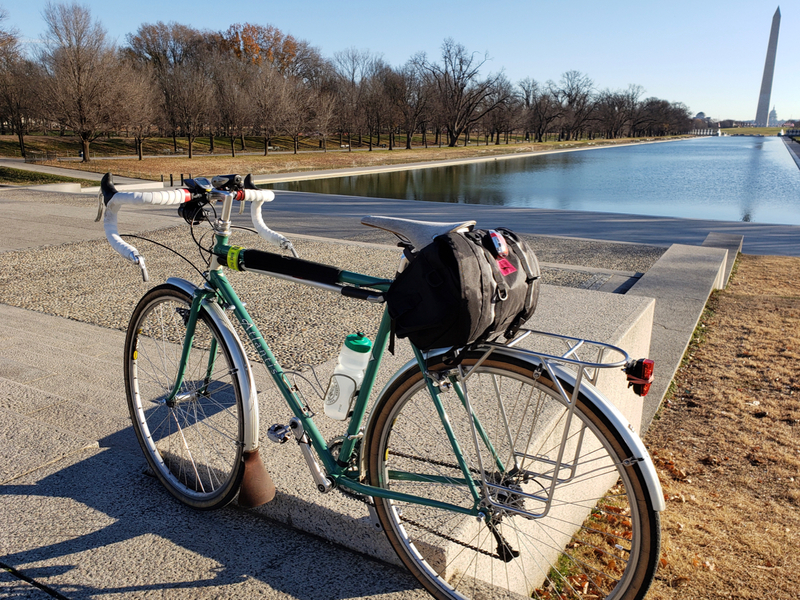 They offer the 11-liter Hinterland Zeitgeist classic transverse saddle bag in XPac that weighs an estimated 12 ounces, nearly half the weight of the comparably-sized Carradice Pendle. You do pay for that weight loss. At $200 MSRP, the Zeitgeist is nearly double the cost of the Pendle. If you can get past the price, the Swift bag offers most of the same features as a Carradice, like a drawstring liner, side pockets and exterior attachment points. The Xpac material is waterproof, although like the Carradice it has holes for the saddle straps where rain can get in. 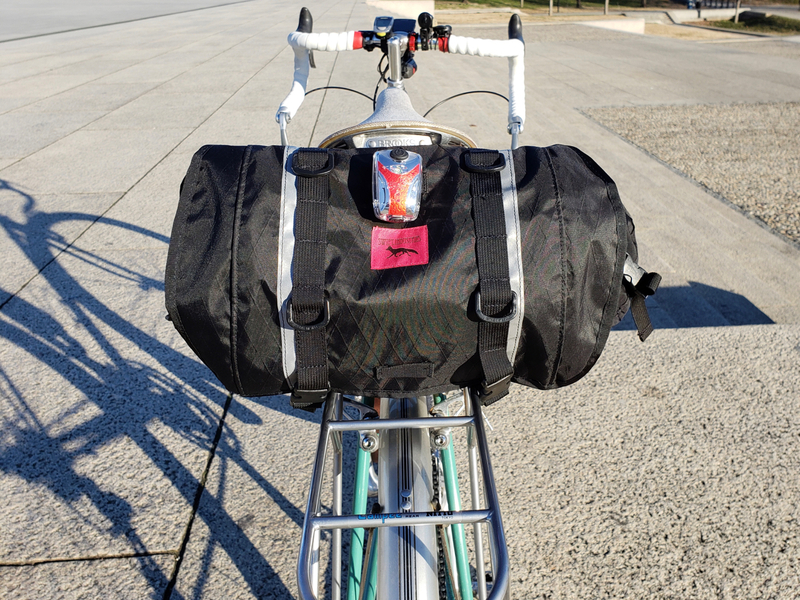 While the big trend in bikepacking has been to compression and frame bags, we’re still wedded to the traditional saddlebag for the quick access to our stuff. The Hinterland is admittedly an extravagant bag but it’s stylish – Swift stuff all looks good – and made in the USA. When we’re laboring up a steep hill, this bag won’t be holding us back! Tomorrow: something smart on the bike and off.